A brief word of thanks to Choral Director magazine for a mention of my book Everything We Needed to Know About Business, We Learned Playing Music in their July 2010 issue. The website and magazine has a number of great resources for Choral Directors and for music education advocates. Link to Choral Director magazine’s website. 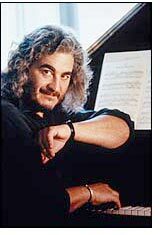 This week marked the 7th anniversary of the death of Michael Kamen. Kamen was a talented musician and music producer. He was also an Academy Award-nominated film composer, and wrote the original music for one of my favorite music films, Mr. Holland’s Opus, released in 1995/96. The movie, starring Richard Dreyfuss, chronicles the journey of an aspiring composer who takes a high school music teaching position reluctantly out of necessity and grows to love the work and the impact that he has on the lives of his students. Shortly after that film was completed, Kamen founded an organization called Mr. Holland’s Opus Foundation, a non-profit organization that helps bring musical instruments to schools in need. After Hurricane Katrina they formed an emergency fund for school music programs in the Gulf Coast area. Sadly, Kamen was diagnosed with Multiple Sclerosis in 1997 and died of a heart attack in 2003, but his legacy lives on through his music, and perhaps more importantly through his Foundation. I’m always intrigued by people who achieve great things, yet find a new calling in life and an opportunity to impact lives to a greater extent. Celebrities like Danny Thomas, Christopher Reeve, and Michael J. Fox found challenging missions later in life that have had greater impact on the lives of others than even their considerable achievements in entertainment. I think it sends a message to all of us. Whether you believe in fate, destiny, religion, or a higher power, I think it’s important to understand that our journey in life is a winding road and that we may be called to change direction every once in a while to have the greatest impact on others. Thanks to Michael Kamen for great music, a great movie, a wonderful foundation, and an extraordinary legacy. 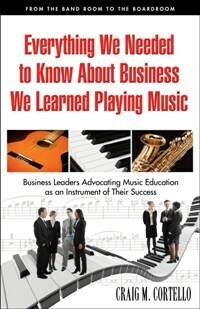 Just a quick word of thanks to the Florida Music Educators’ Association for including my article “From the Band Room to the Boardroom…The nine lessons of Music Eucation that Translate into Business Success” in their advocacy web page. 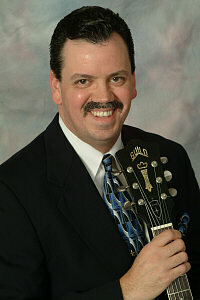 I spoke at the Florida State Music Teachers’ Association conference in 2009 and it was a great experience. My interview with Bob Dorough, Music Director of Schoolhouse Rock, the animated series of school lessons set to music. Bob composed such classics as “Conjunction Junction” and “Three is a Magic Number,” and is also an accomplished jazz singer/songwriter/pianist whose extensive list of credits includes having recorded with Miles Davis. Bob discusses the genesis of the Schoolhouse Rock series, behind the scenes stories on the recording process, and the legacy of his contribution. (Note: interview conducted in 2008 – the New DVD that was in the works at the time of the interview entitled Schoolhouse Rock Earth! is now available).